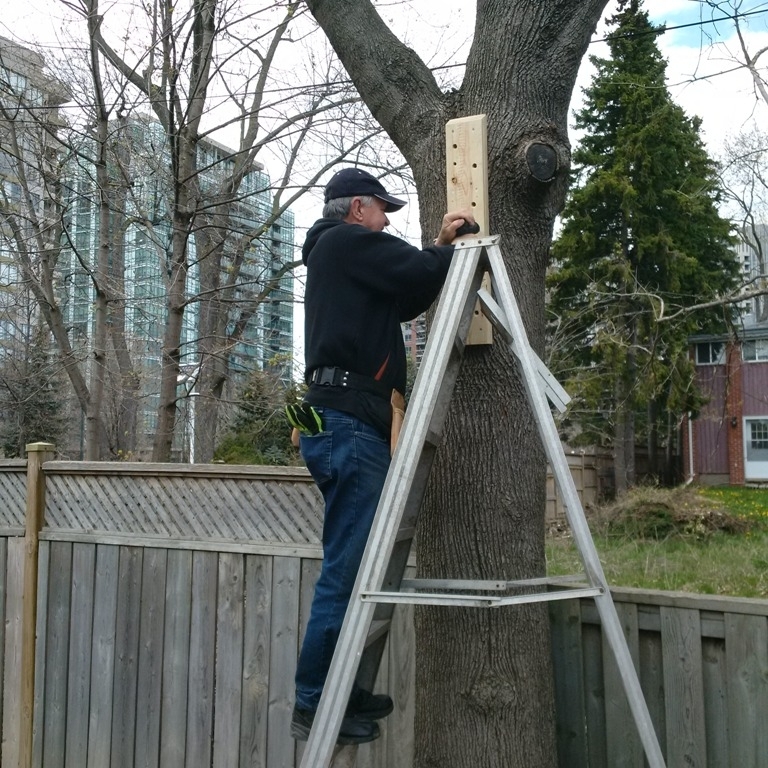 “Bee Gord”, a friend of the garden, installed the first of two bumblebee rest stations that he made and is donating to the garden. 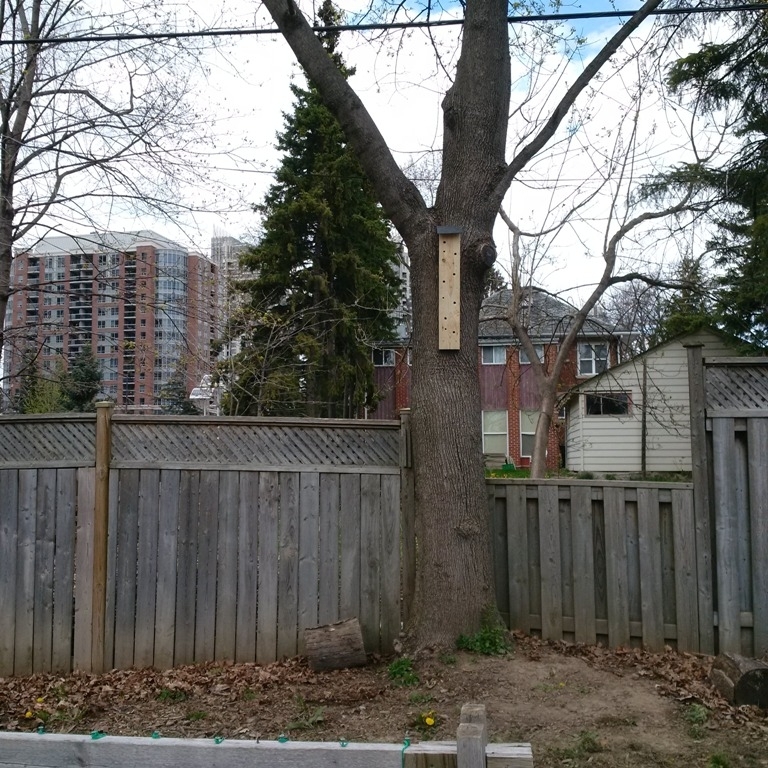 The bumblebee is warm-blooded and needs a protected space to cool off and rest overnight. 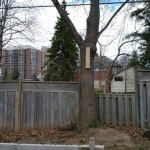 Having the bee resting stations in the garden will hopefully keep the bees in the garden. 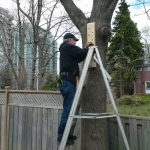 On May 4, 2016 Gord installed the second bee rest station on the Maple tree. 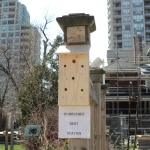 2nd Bee Rest Station installation is complete!